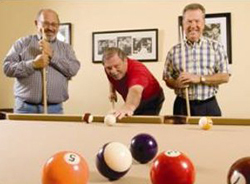 Retirement communities in Florida such as Vienna Square can offer you the best in retirement living. With events and activities galore, spacious and private dwellings and a location that caters to your every whim, you can enjoy your active lifestyle with freedom and comfort. Vienna Square offers you the best in Florida retirement communities because we believe in independent, active living and the choice to participate in activities. Located in lovely Winter Haven, Vienna Square offers you the ability to partake in activities within the community or enjoy the sites and sounds of local areas and nearby cities. You have complete independence to do what you want, when you want, with whom you want. We have a 7,000 square foot clubhouse where you can enjoy many events such as poker night, ladies’ coffee hour, mens’ lunch, line dancing and more. You can also enjoy the heated swimming pool and whirlpool spa, a game of tennis or enjoy a movie in the state of the art theater. You can enjoy shopping, the beaches and the theme parks with a short drive. We believe that retirement communities in Florida should offer you a variety of services should your needs change as you get older. Our Continuing Care Campus allows you access to assisted living, skilled nursing and rehabilitation services and more. Our Continuing Care Campus is designed for those who take comfort in knowing there are plenty of helping hands around, who want real community, real service, real security and real peace of mind. We offer a range of services that can be directly delivered to your door such as transportation, housekeeping and prepared meals. We continue to provide you with a level of choice in healthcare and other services that are affordable. At Vienna Square, you can get the pampering you deserve in the comforts of your own home. For those active adults who want to be totally care free, for a reasonable fee we include lawn care, cable television, a security gate with remote access and the ability to enjoy all that our community has to offer. 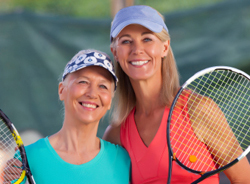 We are one of the most sought after retirement communities in Florida because we offer exclusive services and features you will not find elsewhere. 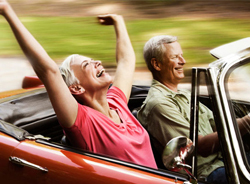 It is time you considered where you want to retire. We invite you to visit us along with other retirement communities in Florida and experience the difference first hand. See what sets us apart from the rest and learn more about our community and the vast range of activities that await you. Please contact us and receive a free information packet about our community. You will also receive the award winning Vienna Voice monthly eNewsletter where you can read about what is happening here. 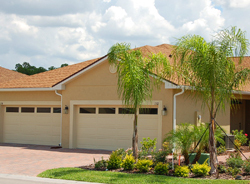 It is time you chose the best of retirement communities in Florida as your new home.